Well we all know that blogging is related to money and success. But this is not fully right! People think that if they create an site or blog than they can earn huge money daily but this is not right, you can earn money through blogging but it needs lots of efforts and hard work. Making money is not an easy task, every blogger try their 100% to leads to success. 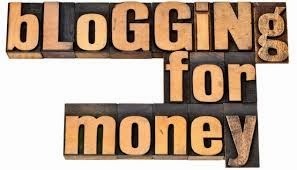 This post is related to:- Why You Can’t Make Money Blogging? Why Making Money through Blogging is Tough in 2014? What are the main reasons your aren't making money through blogging? Bloggers having lots of burden on their shoulders, they did every possible step to make their site and blog into the competition. Making Money through Blogging is Tough- WHY? Well as we all know that last PR update is declared on 6 December 2013. And surprisingly Earning Methods got pagerank 1. This is important point, people think that if they get an huge backlink for their website and blog than they got an page rank. But this is not properly true. All you need to grab high authority backlinks pointing to your site from Guest Blogging, blog Commenting and Directories etc. Google has changes its policy, now they are not updated the pagerank regularly. This is a major factor, Mostly bloggers depend on Google Adsense. They think if they create an blog or website than they can earn huge dollars and make their life easier. Friends, you have to believe that only creating a site doesn't mean that you can earn money. Don’t create blogs for AdSense. Even Google doesn't want that. This is effective tip to make your content viral. You have to be engage with the people who have same interest as yours. Business is just like networking. 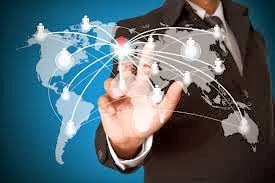 So if you want that your business became famous and popular than you have to supply its services to your native place. So in that way your blog is also a business, you have to service their content and articles to all possible networking sites. Social networking sites ( Facebook, Twitter, LinkedIn, Google Plus) is the best way to engage with other peoples. Share your contents and other service on various sites. As we know that if you have an blog or website than your full attention is on your content. Your articles is reflects your talent towards other person. You have to write your article which is more than 1500+ words. Google Hummingbird is all set to search for quality/unique content blog and rank higher. 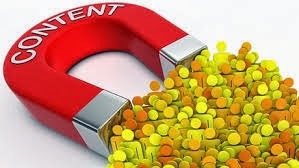 Try to give targeted keywords in your blog article. Always choose right keywords, title and heading for your post.